Thank you for choosing to allow us into your journey! We're here to help you CURE and PREVENT inflammatory diseases such as Fibroids, Infertility, PCOS, Endometriosis, Diabetes, Heart Disease, Cancer and more holistically through through lifestyle changes including stress management and diet. 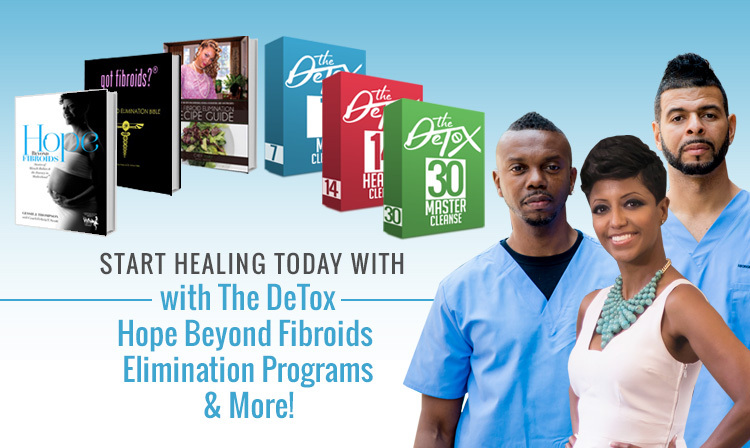 Where should we send your Life After DeTox Food List, FREE Why DeTox Webinar and Hope Beyond Fibroids Elimination Program Teleseminar MP3? Choose BELOW to Get Instant Access!